News Archive. Beatles Radio: The Beatles, Solos, Covers, Birthdays, News The Fab 4 and More! 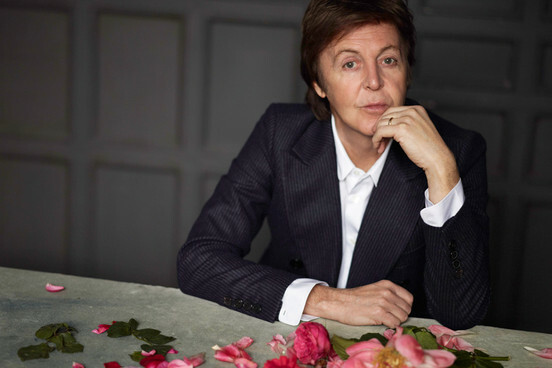 MANILA – Singer-songwriter Paul McCartney, who gained worldwide fame as a member of The Beatles, has joined calls for the release of an elderly elephant in the Manila Zoo. According to the animal rights group People for the Ethical Treatment of Animals (PETA), McCartney sent a letter to President Benigno Aquino III asking him to transfer Mali to a sanctuary in Thailand. “I have great regard for governments that intervene on behalf of animals, just as yours did with the May 2012 directive ordering that Mali be evaluated and considered for transfer. That said, time is passing, and it has been more than a year since that directive was issued – yet Mali seems no closer to enjoying her well-deserved retirement at an approved sanctuary,” McCartney wrote, as quoted by PETA. 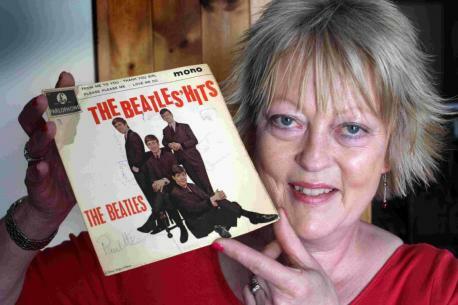 A RECORD sleeve on which an air hostess collected the autographs of all four Beatles is up for auction. Auctioneers estimate the EP cover should raise £400-£500 when it goes under the hammer on Saturday. 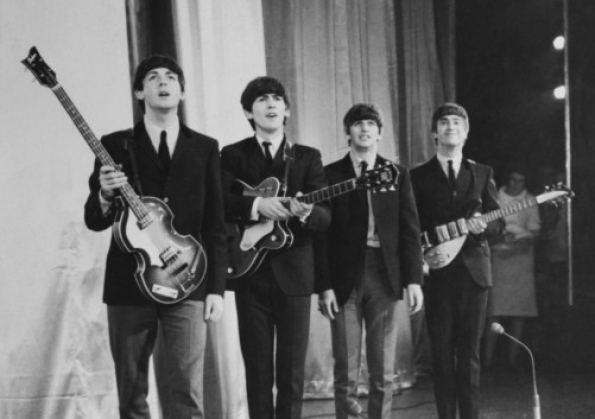 The auction comes a month ahead of the 50th anniversary of the Beatles’ first performances in Bournemouth. Claire Chalkley of Ringwood Auctions said the estimated price reflected the fact that the auction house could not guarantee the authenticity of the signatures. But it had received the sleeve from the family of the original owner. “It came from an air hostess who met them. She said they were travelling on her flight and she had it with her,” she said. 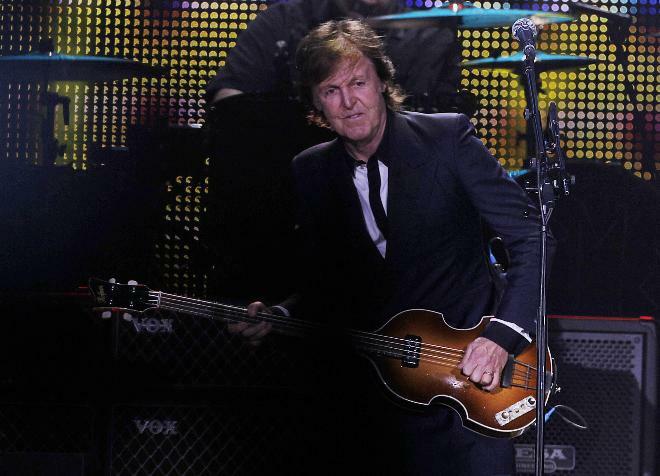 Paul McCartney did not play "When I'm Sixty-Four" at a sold-out Miller Park Tuesday night. He's 71 now. He's already been there, done that. Some may wonder why he still keeps working at this point in his life and career. If any man has any right to phone it in, to simply call it a day, certainly it's McCartney, one of the greatest musical contributors of all time. But he keeps going, probably because, like the ancient electric guitar he strummed Tuesday night during "Paperback Writer," the very same one he said he used to record that song in 1966, he still rocks. For his fifth Milwaukee concert in five decades (including a lone Beatles gig in '64, and a rainy Milwaukee County Stadium show two decades ago this year. 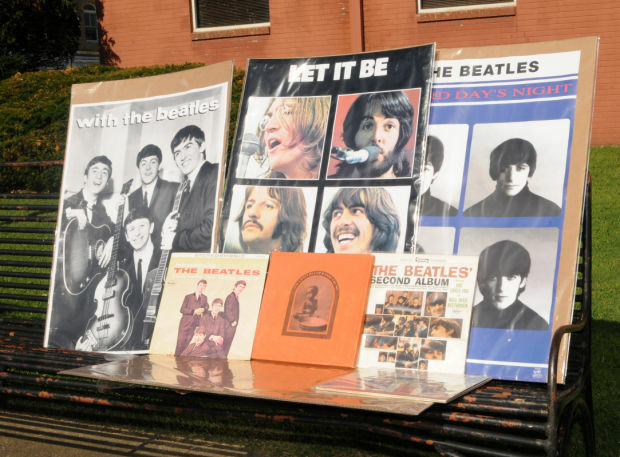 BENTON — A historical marker of international significance will recognize Benton’s place in the history of The Beatles. The marker will be dedicated later this year during a 50th anniversary commemoration of Beatle George Harrison’s visit to Benton in 1963. Harrison traveled to the Franklin County city to visit his sister, Louise, then a resident of Benton. Harrison’s trip to Benton represents the first made to the United States by one of the famed Beatles. “That makes it of historical significance internationally,” Illinois State Historical Society executive director WIlliam Furry said during a news conference in Benton Wednesday. Harrison got to know the city and surrounding area during the two-plus weeks of his visit, Furry said. He hiked at Garden of the Gods, sat in with a local band and visited teenage DJ Marcia Raubach at WFRX in West Frankfort. The lowest-numbered sleeve from the Beatles' White Album will star in Heritage Auctions' August 10 Entertainment and Music Memorabilia Signature Auction in Dallas. The sleeve is numbered A0000001 and is one of around two dozen such-numbered copies given out as early promotional items to the Beatles themselves and top Capitol Records executives. It is expected to sell for more than $20,000. 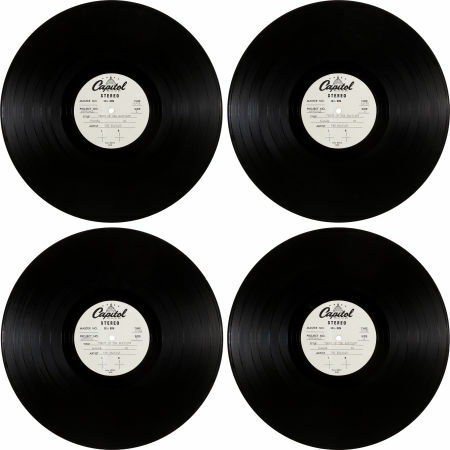 The lot follows Heritage's December 2012 sale of the White Album A0000023 for $13,750. The sleeve has been graded MT10, making it the finest possible. 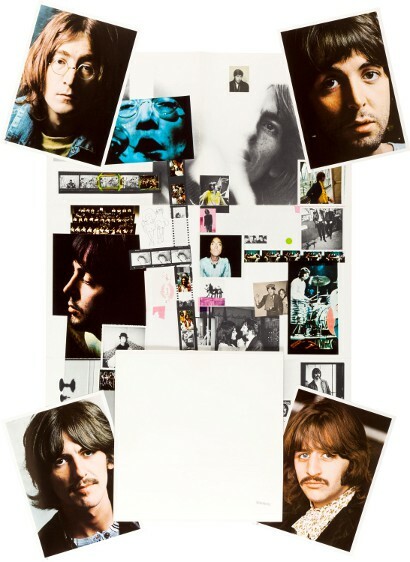 Included is the original poster and four individual photographs, along with a set of two EX7-graded records, which are not original to the album. ASK many people in Liverpool where the Queen Arcade is and they will probably look at you blank. But while the little alley, which cuts a right angle behind the junction of Dale Street and Castle Street, may not be known to all, some of the customers of the small tailor’s shop along it are known the world over. Craft Tailoring, possibly the only tailoring firm left in Liverpool that actually hand makes its suits (most will take measurements and send the dimensions off to a factory to be made up), has, in its owner Walter Smith, a national award-winning suit-maker, who dressed the city’s great and good from the 1960s onwards. It was in the summer of 1962 that one of his regular clients, NEMS music store owner Brian Epstein dropped in to see him. But this time, he was not looking for new attire for himself. 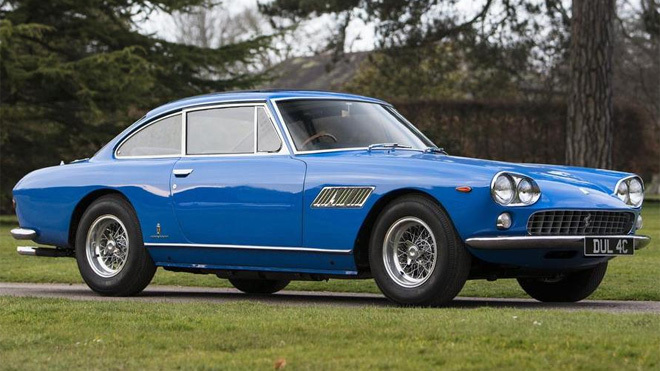 A 1965 Ferrari 330 GT owned by John Lennon sold for £360,000 in part of the highest grossing automobile auction in history. A Ferrari bought by John Lennon the month he passed his driving test sold at Goodwood Festival of Speed yesterday for £359,900. The 1965 330GT 2+2 Coupe was the first car to be owned by the Beatle, and comfortably exceeded its estimated value of £180,000-£220,000.The story goes that upon hearing Lennon had passed his driving test, luxury car dealers turned up at his house in a whole range of exotic automobiles, hoping that they could snare a superstar. Lennon chose the £6,500 Ferrari, finished in Azzuro blue and with a blue interior. The Fab Four wouldn’t have been the Fab Four without the genius of the man Paul McCartney called the “fifth Beatle” — Brian Epstein. Epstein discovered the Beatles and guided them through their path to fame with a mix of marketing madness, business savvy, and inspiration. He died at age 32, just as the band was seeing the height of their success, but he’s getting his due (finally!) in a graphic novel that will debut at Comic-Con. Titled (fittingly), The Fifth Beatle, the story follows Epstein and the band through their early days in Liverpool, their first record deal, and Epstein’s epic 1961 proclamation that “The Beatles will be bigger than Elvis!” The novel also focuses on Epstein’s life apart from the band and his personal struggle with being gay in a time when homosexuality was still a crime in England. Bob Dylan’s 10th bootleg album will focus on the early session tapes that would become the ‘Self Portrait’ and ‘New Morning’ albums. It was at the time he was working closely with George Harrison who released the ‘All Things Must Pass’ album around the same time. Harrison and Dylan co-wrote the opening track from ‘All Things Must Pass’ titled ‘I’d Have You Anytime’ and George covered Bob’s ‘If Not For You’ for the album. 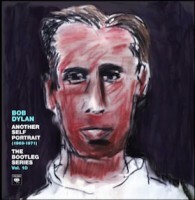 ‘The Bootleg Series Vol. 10’ will include 35 rarities and previous unreleased material from Dylan sessions from 1969-1971. The cover is new artwork created by Dylan for the release. The acetate for a rare Beatles album that never saw release will be auctioned off on August 9 by Heritage Auctions. Best of the Beatles was assembled by Capitol Records as a two-LP set in 1964 as a compilation of the group's Capitol and Vee-Jay hits to date. According to experts, Capitol was not able to release the album as planned when they found out that Vee-Jay did not lose the rights to their tracks until a later date.